My parents sold their house last fall. They had lived there for 50 years. It was the home they brought me home from the hospital to. So many great memories came from that house and the garden that surrounded it. So many amazing family gatherings, birthdays, Christmases, Thanksgivings (a few fairly wild parties in their younger years) and anniversaries. 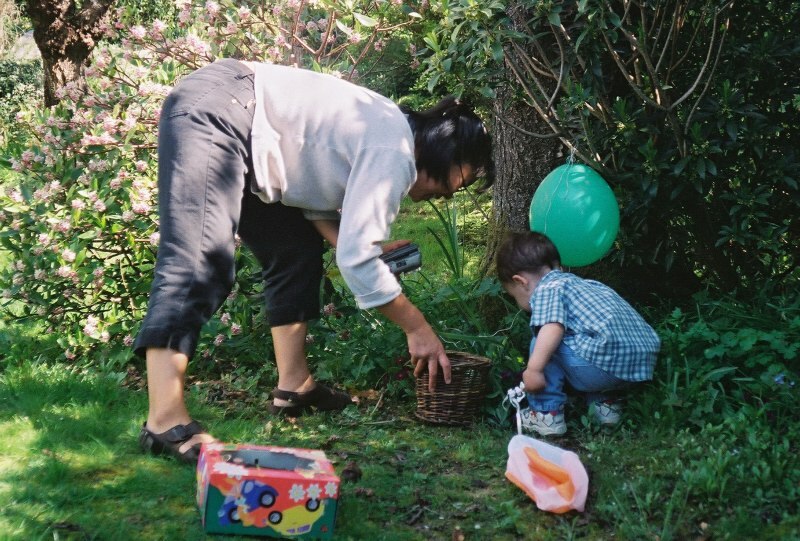 For me the best memories always seemed to revolve around Easter. With Easter just around the corner and my daughter asking about the Easter bunny I am reminded of those great times. My earliest memories of Easter are of my mom getting us ready for church in pastel coloured dresses with white gloves and white wicker purses covered in fake flowers. Even though we were the Christmas , Easter and Thanksgiving only church family, my mom ensured that when we did go, we were dressed appropriately. I remember her inspecting our hands to be sure that we didn’t have any chocolate on our sticky little fingers. 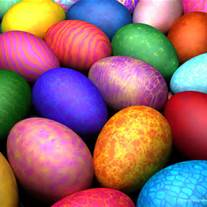 In those days the Easter Bunny came very early in the morning and left a beautiful egg on our breakfast plate. Hollow in the middle and decorated with our names in royal icing. “How did that bunny know our names?” I wondered. I learned later on that my mom would get the big chocolate Easter eggs from Woodwards. When we were a bit older the best memories are of Easter Sunday bonfires. It was Spring, the weather was getting better and my mom and dad would have been working in the yard to get ready for the summer. The yard waste needed to be disposed of and for us that meant a great big bonfire at the bottom of the yard. Usually a couple of other families would come over for the day and there would be a dozen kids standing around the fire roasting hot dogs and burning marshmallows for lunch. Yup, that’s when destroying the ozone, processed meats and sugar were all good. The big draw for the kids was the tire swing. A large tree stood at the top of a grassy hill and dad had hung a rope from the tree and then attached it to an old tire. When pushed properly you would swing out over the hill and hang 20 feet over the back lawn. I can not even count the number of times I fell off and had the breath knocked out of me. How none of us ended up in the emergency room is a mystery. Every year we had a contest to see how many of us could get on the swing at the same time without falling. Again, can’t believe we all live through it every year. And then there was the egg hunt. The only acceptable candy was foil wrapped mini chocolate Easter eggs, mainly because they could withstand being tucked into crevices and hidden under logs or rocks in the garden and could survive being transplanted by squirrels if the hiding had been done the day before. Frantically we would search for those little eggs in every inch of that 3/4 acre space. I remember hitting pay dirt at the bottom of the tree that my sister fell out of when she broke her arm. I guess whoever was hiding the eggs got tired and dumped the last dozen or so in a hollow at the bottom of the tree. Score! As the years passed and my sister, brother and I each got married and had our own kids, things changed. Nobody goes to church anymore, bonfires are now prohibited and the tree that held the tire swing died and the swing was lost. That may have been a good thing as my mom and dad ended up with six grandsons who I can say, without hesitation, would not have been as fortunate as us in not getting injured. But with that change and those grandchildren came different traditions. 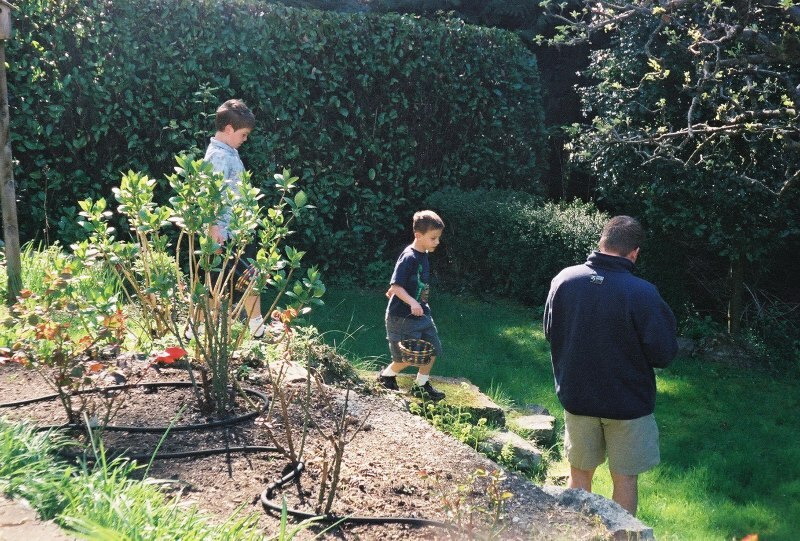 I’m not sure how or when it happened but at some point the chaotic search for foil covered Easter eggs in the garden became an Easter scavenger hunt. The Easter egg hunt evolved into my mom and dad creating elaborate clues that took the grandkids around the house and garden. The little ones had pictures to follow and usually an older cousins to help them out. The older ones had the task of not only following the clues but deciphering Granny’s handwriting. If you stood on the front doorstep you would see them standing scratching their heads, looking at the clue and then suddenly tearing around the side of the house when they realized that “Minki’s Flowers” meant the patch of daffodils that bloomed every year where my mom and dad had buried their cat’s ashes. Creepy but really pretty. So now the house stand empty and the yard is a series of little holes where my parent’s friends have dug up my dad’s lilies, roses and yes, the daffodils. We will all go on to create our own Best Things in Life and memories for our kids around the holidays in our own homes. I can only hope that they are half as good as the ones my parents created for us.